Observation notes: On Beach Trail in San Clemente, Ca. North Beach Area. Warm Sunny Saw at least 5 in one little area. Trail landscaping is Providing nectar source also non native weeds and Natives. 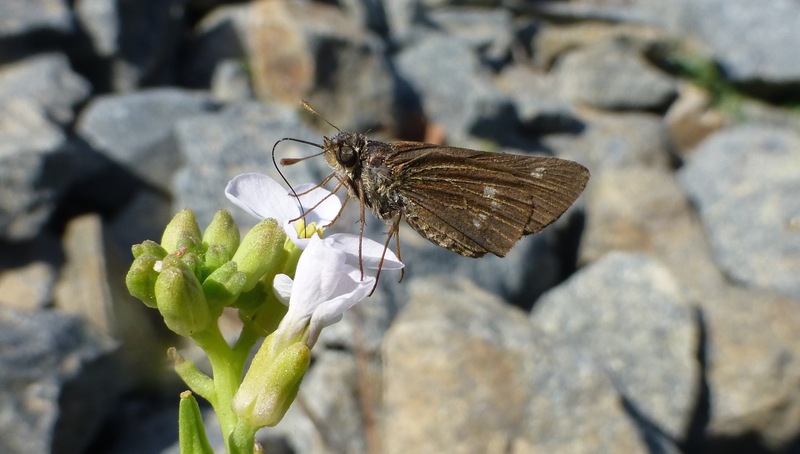 Salt Grass Wandering Skipper's host grows on cliffs and the few undisturbed areas. Near host Plant any nectar seems to attract Wandering Skippers Also some Umber Skippers. Year round water leaks out of the cliffs watering salt grass. Also there is probably recycled water system for landscaping of trail. Easily Accessed From Train Station even Wheel Chair accessible. Great easy location to see this Beautiful while enjoying an ocean View!